I’ve been posting about Young Adult writing for four weeks now, and I’ve focused on intercultural themes. Well, here’s another book in a series of books that have intercultural relationships at their core–two of them are just for a slightly younger reader; one is an adult book. However, I’d like to feature them here anyway on this Tuesday because of their related theme. I met the author, FREDDIE REMZA, a few years ago at the SCBWI conference in New York, and she impressed the heck out of me with her interest and full-throttle drive in this business of writing for young readers. And I think we connected because we both love to travel. She was also a great companion in the Big Apple, and we’ve kept in touch. So today I’d like for you to get to know Freddie and find out about her books. Okay, now that I have your attention…I’m Freddie Remza, author of the middle reader, The Journey to Mei, its YA sequel, Ride the Wave, and the recently published adult novel, The Orchid Bracelet. I love traveling. I love being taken out of my comfort zone and placed in a spot on the globe where I’ve never been, consuming things I never imagined could be eaten, and talking to people who dress differently than me and live in houses I’ve seen in the National Geographic. I don’t want a replica, a simulation, the Disney version. I want the real thing. I’ve always been like that. When I was an elementary teacher, I noticed that kids from other countries knew more about us than our children knew about them. That bothered me and so I set off on my own private mission to change that. The world map had a prime location in the front center of the classroom. I continuously pulled it down to perhaps explain the location of the recently erupted volcano or to compare the desert communities of the world. One of my favorite quotes is by Rudyard Kipling. He wrote, “If history were taught in the form of stories, it would never be forgotten.” So after retirement, I came up with this excellent idea of joining the two…traveling and writing stories that will not only entertain, but also let kids know where a plane ride can take you. My goal was to create a storyline where these settings could naturally unfold. They would contain real, live-sounding people with everyday problems and situations to resolve. 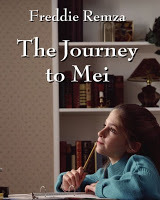 THE JOURNEY TO MEI is about an American family who decides to adopt a child from China. Their 10-year-old birth child is not too keen on that; that is, not at first. So off I went to China to learn about the country, visit an actual orphanage, talk to the people about the one child policy, and use what I learned in my writing. As it turned out, there was a need for this type of story. This middle reader not only became a teacher read-aloud, but was also used by adopting families. They found it to be a sensitive vehicle that opened up conversation between family members and the adopted child. But my young readers were not satisfied. They wanted to know what happened after the story ended. Oh, the emails I received! They loved the family and didn’t want them to disappear, and quite frankly, I also became a little attached. 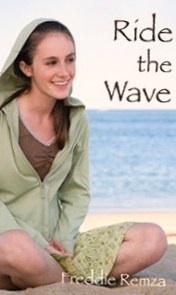 So back to the laptop I went and the sequel, RIDE THE WAVE, was born. This book has the family moving to Cape Town, South Africa. Our 10-year-old birth child is now 15 and simply does not want to leave her friends, her activities, her comfortable life…not even for a year. And so, the theme of a teen adjusting to change seemed pretty evident, as well as issues of bullying and harassment. Halfway through the story I joined my pretend family as they made that long flight over the Atlantic. What’s an author to do? I learned first-hand about this country—the apartheid, effects of global warming, Cape of Good Hope—and used them as needed; much like a well-crafted jigsaw puzzle. On the other hand, THE ORCHID BRACELET forced me to come up with a different set of people. There I was in Vietnam running around snapping photos, filling two notebooks with observations that were insignificant to the average tourist. You see, I wasn’t a tourist; I was a traveler. There is a difference. I made note of everything from the duct tape covering the slit on a vinyl couch inside a Vietnamese home, to the gravel on the pathway that a barefooted child walked upon as she carried her younger brother on her back. But it wasn’t until an unexpected conversation I had with a young Vietnamese teen that I realized I needed to go in a different direction with my story. That’s what experiencing the setting first hand will do. And when that last page has been read, if the reader feels a little stirring inside that makes him sit and think about things…well, then my job was done correctly. I don’t usually blog on Wednesdays, but today I have some special news that I have to share. Twenty-five 2009 Debs have banded together to produce an anthology of super fine Young Adult short stories and here’s the cover. Tell me what you think. And then be sure to have your Kindle at the ready for this great eBook when it’s available. Last month I asked, “Why Do You Blog?” and your answers were really interesting. This next question is, “Why Do You Write for Young Readers?” It certainly isn’t a new one for any of us who glue ourselves to the seat of our computer chairs and create stories, but I love to hear the reasons. They are usually similar, but always have a unique twist–we’re a varied group, that’s for sure. Now, I’m hooked. 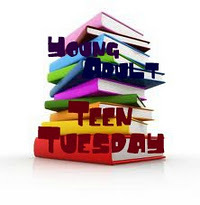 I love writing about and for teens who are troubled or working through life issues or growing into adulthood as we all must. This writing has introduced me so many wonderful people of all ages and all backgrounds. I’ve learned how much I don’t know about my craft and the highs and lows of being a published YA author. I’m enjoying the experience. I’m enjoying YA literature. I’m enjoying the authors. So my short answer is: I’m enjoying myself — a lot. Now it’s your turn. Why do you write for young readers? FLASH BURNOUT is here and it’s fabulous. L.K. Madigan has written one fine book. It’s funny. It’s poignant. It’s a “connect-with” kind of story that teens will love. Having the author here today is a special treat because I was one of the fortunate members of The Garett (a group of fine YA writers) who read Flash Burnout as it developed into the novel you’re going to love. When he snapped a picture of a street person for his photography homework, Blake never dreamed that the woman in the photo was his friend Marissa’s long-lost meth addicted mom. So who is this author? While you’re hanging out here, give us a little insider stuff about the person, L.K. Madigan. Tell us of all your favorite books, which one do you wish you had written? I’ve been sitting here staring at the blank screen for a long time … which must mean I can’t think of a good answer. So what I’ll say is that I wish I could write a really excellent mystery someday, like FINGERSMITH. I admire the gorgeous prose and the many deep, dark secrets, and the satisfaction of the ending. I’d like to be able to knit together that many plot threads so neatly, and create the kind of tension that makes readers fear for the well-being of the characters. Here’s one that may be easier . . . or not. What fictional character do you wish you could be? I’d like to be Hermione too, just to have people call my name. Now here’s a deep, deep secret kind of question. After chocolate, what do you eat to make the writer-block pain go away? It’s not food, it’s drink that helps with writer’s block … strong drink! No, I’m kidding. I drink coffee or iced tea while I write. Whatever works. And what you’re doing seems to be doing the trick. Be sure to visit L.K. Madigan’s web site to find out more about the author and her work. Whatever you do pick up your copy of Flash Burnout today. It’s on Amazon or at Indiebound. Five young adult authors had some fun at Corte Madera Book Passage Monday night. 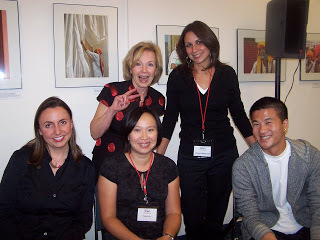 Cheryl Herbsman, Malinda Lo, Sarah Quigley, Jon Yang and I presented our books and talked about our journeys to publication to wonderful audience. 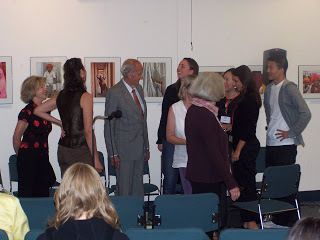 We even had a surprise guest, former Senator George McGovern stopped in. Thanks, Lissa for a great evening at your wonderful bookstore. The title sums it up. I’m working. Here’s what I’m doing: harvesting one hundred-pound squash and carrying them up a hill in a wheelbarrow. You think I’m kidding. Not! I’m writing my great American blockbuster novel. This time I am kidding. I’m querying agents–well, I’ve queried one, but she did ask for a full. That’s good, right? I’m looking at other options for ways to spend my life. I’m always doing that. I’m trying to think of something really pithy to say next week at Book Passage when I’m suppose to talk about my writing journey and sign books. I just got Necessary Heartbreak by M. J. Sullivan. Now I have a new adventure for tonight. In SHINE, COCONUT MOON Samar-a.k.a. Sam-is an Indian-American teenager whose mom has kept her away from her old-fashioned family. It’s never bothered Sam, who is busy with school, friends, and a demanding boyfriend. But things change after 9/11. A guy in a turban shows up at Sam’s house-and turns out to be her uncle. He wants to reconcile the family and teach Sam about her Sikh heritage. Sam is eager, but when boys attack her uncle, chanting “Go back home, Osama!,” Sam realizes she could be in danger-and also discovers how dangerous ignorance is. The author,NEESHA MEMINGER, was born in India, grew up in Canada, and currently lives in New York City with her family. All of her writing explores the inner landscape of her characters, and how it merges or conflicts with the outer. She writes stories of women and girls defining themselves and shaping their own destinies within the confines of their day to day realities. I feel so close to this book and this author because I was very fortunate to read it during its development. Right from the beginning I knew it was a winner, a book I’d tell friends to read. How much fun it has been to connect with NEESHA MEMINGER along her creative path to publication. So trying to be as creative as Neesha, here’s the interview I conducted. Already I wish I had oodles more time to do this. This writer bubbles over with enthusiasm and her responses only bring more questions to mind. COCONUT MOON does Sammy’s struggle for a big, loving family stem from your personal experience? Yes and no. I had a pretty large extended family and a medium-sized immediate family. But we are an imperfect bunch and when I was in high school, I probably bought into the Hallmark commercials and television families and thought I wanted what was depicted. My poor, flawed, family didn’t stand a chance next to those picture perfect ones :). So maybe that was part of the experience I drew upon when I wrote about Sammy’s longing for a big, beautiful, perfect family. Since your story is about such universal issues–search for love and belonging, family half-truths, breaking from tradition–I’m thinking a mom /dad/grandmother/grandfather would find it a fascinating read. Can you comment on this observation? Actually, the relationship between mothers and daughters is what I initially wanted to explore when I began writing SHINE. That includes Sam’s relationship with her mother, and her mother’s relationship to her own mother. Then, of course, Sam’s relationship with her grandmother. I loved being witness to the complexities in those relationships — what made them work and what made them fragment. I also wanted to look closely at how these relationships and generational rifts fare when issues like immigration, displacement, and migration are thrown into the mix. So, to answer your question, I think mothers, fathers, grandfathers, uncles and aunts would find this a terrific, perhaps insightful read :). Okay, Neesha those were fabulous answers. Here are some sorta not so book-specific, but maybe a bit self-revealing questions, things your readers just might find fun to know about you. Of all your favorite books, which one do you wish you had written? That’s an interesting choice, Neesha. Sci-Fi. What fictional character do you wish you could be? The main female character in Wild Seed — I can’t remember her name right now, but it became Emma toward the end of book two. Was it Anyanwu? No wonder you couldn’t remember it. I can barely spell it. But I did admire her power and her generousity in using it for the good. Says something about you Neesha. After chocolate what do you eat to make the writer-block pain go away? Cheese, or something creamy. Or caramel. Yeah! My kind of writer. Order your copy of Coconut Moon from Amazon, U.S or Amazon, Canada now, and visit Neesha at her website to see what’s up with this writer-diva. AND . . . there’s more to come. Check out what Neesha and Cindy Pon talk about on March 31st. I’m waiting and not very patiently for Heather Duffy-Stone’s YA ARC, This Is What I Want to Tell You. Come on ARC! MODELS DON’T EAT CHOCOLATE COOKIES by ERIN DIONNEis here and ready to treat you to a great story about thirteen-year-old Celeste Harris. This girl is no string bean, but comfy sweatpants and a daily chocolate cookie suit her just fine. Her under-the-radar lifestyle could have continued too, if her aunt hadn’t entered her in the HuskyPeach Modeling Challenge. To get out of it, she’s forced to launch Operation Skinny Celeste—because, after all, a thin girl can’t be a fat model! What Celeste never imagined was that losing weight would help her gain a backbone . . . or that all she needed to shine was a spotlight. Our author in the spotlight has lived on two coasts and in four states. Her debut novel, MODELS DON’T EAT CHOCOLATE COOKIES, was inspired by events that occurred in seventh grade, when she wore a scary peach bridesmaid dress in her cousin’s wedding and threw up on her gym teacher’s shoes (not at the same event). Although humiliating at the time, these experiences are working for her now. Now Erin lives outside of Boston with her husband and daughter, and a very insistent dog named Grafton. She roots for the Red Sox, teaches English at an art college, and sometimes eats chocolate cookies. So many choices…ummm…I’ll have to say THE GIVER, by Lois Lowry. That book is simply amazing. AMAZING. I use it nearly every semester when I teach. The story of Jonah is amazing. I remember how beautifully Lois Lowry revealed the truth to him. I can see why you chose this book. I love villains, and was kind of a “good girl” growing up…so I’d like to be someone bad. Like Bellatrix LeStrange. Bad and crazy! That’s very revealing, Erin. Now your readers have something to think about when they see your name on that book cover–a writer with an interesting “bad” side to her. My next question is kind of silly, but what writer hasn’t had THE BLOCK?” We have to talk about that. After chocolate what do you eat to make the writer’s-block pain go away? Chocolate chip cookies, actually…so a little chocolate in my baked goodness. Now I have to ask this. What if anything about Celeste Harris, your overweight eighth grader, comes from personal experience? I feel I can ask this question because if anyone could have won the Miss HuskyPeach beauty pageant in high school, it would have been me. Some of the situations she finds herself in are also familiar to me, too, including the whole “puking on the gym teacher’s shoes” things. I’d love to talk to your former gym teacher after she reads your book. If there was one piece of advice you’d give to a “chubby” teen, what would it be? I’d tell the teen to embrace what they like about themselves, and focus on those positive elements. What makes you feel good about yourself? THAT’S what’s most important. Ignore other kids who are teasing or bullying you, but make sure to tell a trusted adult about their behavior. They need to be stopped. And never, EVER resort to drastic measures, crash diets, etc, to lose weight. They don’t work, they’re not safe, and the weight is just going to come back. Instead, if you’re after weight loss, be smart and make little changes that you can sustain for a long time. Amen to all that you’ve said. I hope readers drop in here and have a look at this answer. Thanks, Erin. Great answers too. Thanks so much. And readers, you can findMODELS DON’T EAT CHOCOLATE COOKIES near you. Or look at Amazon. Erin’s tour doesn’t end here. You can catch more about her and MODELS DON’T EAT CHOCOLATE COOKIES atR.J. Anderson’s Blog next week.